I got a job!!! So the news is out and I'm throwing a SALE this weekend to celebrate! After a year off, I'm heading back to kindergarten! The principal of a brand new school contacted me through my blog and, long story short, I got the position! I'm thrilled to have the opportunity to be part of the founding team of this awesome new school! Everything in my store is 20% off now through Sunday in celebration!!!!!! Can you tell I'm excited?! I hope you're all enjoying your summer so far (those of you who are already out)! 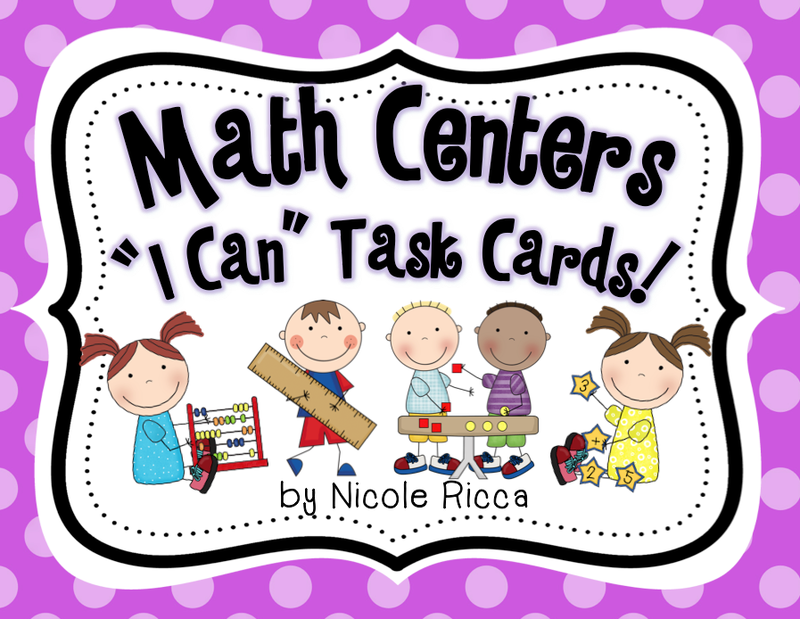 I'm sure some of you remember the Math Centers Task Cards I said I was making...like two years ago! Haha. Well, I have FINALLY had the time to finish them and I'm SO excited about this set! 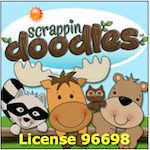 I haven't been able to find anything else like this on TpT! 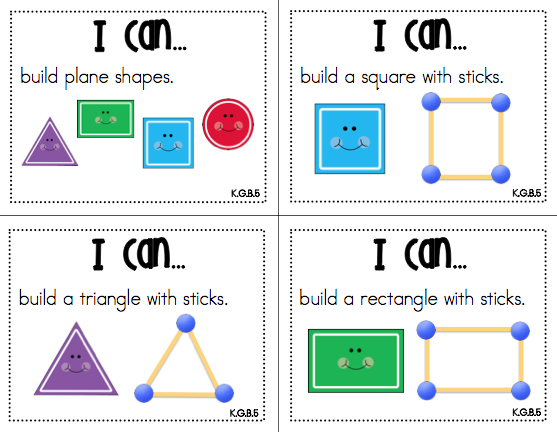 I included over 330 hands-on tasks and I know kids will have so much fun with these! 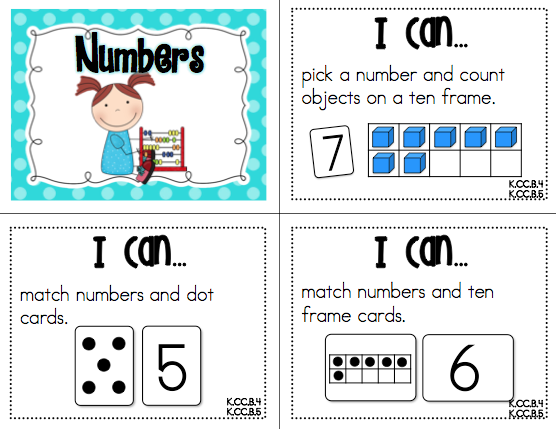 There are so many things to do and they're activities that can be repeated throughout the year so you don't need to change out stations and themes every week! 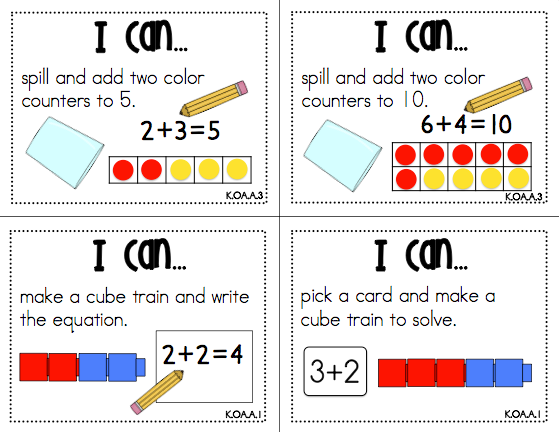 Plus, I included the related Common Core Math Standard on each card to make organization and planning easier. 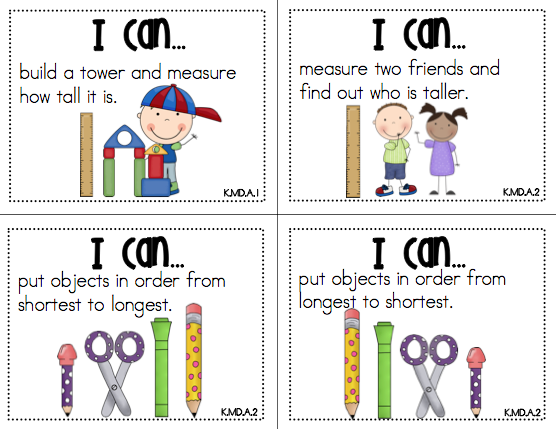 I'm also making a coordinating set of printable games and recording sheets to make prep even easier!